At Hellenic Marine, LLC., we possess a dynamic hydraulic service crew, with foremen who have an over 40-year field experience. 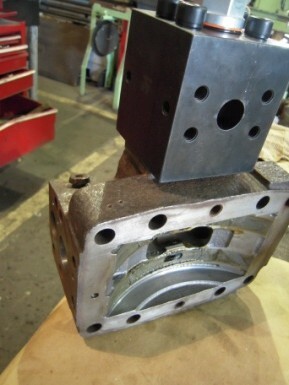 We feature in-house repairs of all hydraulic components, i.e., hydraulic pumps, hydraulic motors, valves, cylinders, and etc. We have in-house component testing and evaluation machinery up to 400 horsepower demand. We are well versed in the repair of anchor windlass systems, mooring winches, various on-board cranes, lifeboat handling machinery, and steering, as well as, any other hydraulic operated equipment. All shop repaired components are fully tested and guaranteed. We offer consultation services, we trouble-shoot malfunctions, and we can provide a full crew for any major repairs.